Mindshare Mumbai has been awarded the Glass Lions Grand Prix at 2016 Cannes Lions International Festival of Creativity, for “6 Pack Band,” a transgender pop group sponsored by Brooke Bond Red Label in India. The Glass Lions category was introduced celebrates work that addresses and seeks to have positive impact on gender inequality, imbalance or injustice. Mindshare and Brooke Bond partnered with Yash Raj Films India to assemble a six-person outfit, who went on to perform in and star in a series of vibrant music videos for catchy tracks, including “Hum Hain Happy,” a cover of Pharrell’s popular “Happy.” The songs have aired on Indian radio stations and on streaming apps. The band appeared at major Indian music events including Radio Mirchi’s Music Awards. 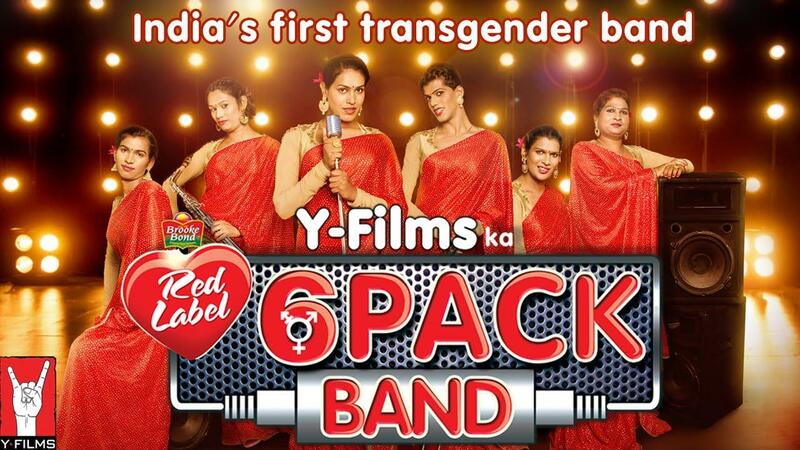 The 6 Pack Band project was designed address the stigma against the “third gender” while also promoting Brooke Bond Red Label’s mantra to “bring people together.” Yash Raj Films pitched the concept to Hindustan Unilever Ltd (HUL) in June 2015 as part of the company’s “Content Day”. The brand partnership concept was then developed at Mindshare Fulcrum, Mumbai. So far, the 6 Pack Band has released five music videos, featuring actors Hrithik Roshan, Arjun Kapoor and singer Sonu Nigam, on the Y-Films official YouTube channel. The first single, released in January 2016, was “Hum Hain Happy”, a cover of Pharrell William’s track “Happy”. Concept work was by Mindshare Fulcrum, Mumbai. The 6 Pack Band project was curated by Shameer Tandon, conceived and produced by Ashish Patil at Y-Films, Brand Partnerships and Talent Management, Yash Raj Films. 6 Pack Band are Asha Jagtap, Bhavika Patil, Chandni Suvarnakar, Fida Khan, Komal Jagtap, Ravina Jagtap, performing with Sonu Nigam. In casting 6 Pack Band, the production team looked for Hijras with screen presence, a voice and attitude. Casting was supported by members of the Humsafar Trust, a nonprofit that supports the LGBT community in India. Music was composed and directed by Shameer Tandon, with lyrics by Nishant, programmed by Prem Hardeep Partners In Rhyme and produced at PIR Studios UK. Filming was shot by director Nishant Nayak via Y Films with director of photography Mithun Gangopadhyay, costume designer Niharika Bhasin Khan, associate producer Nikhil Taneja, video story writer Mariam Munir, editor Farooq Hundekar, executive producer Varun Chaphekar, choreographer Nishant Bhat, production designers Prasun Chakraborty, Sushant Panda, and assistant producer Sakshi Gurnani.